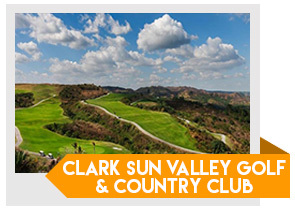 Clark Pampanga’s exclusive 18th golf course is played in Clark Sun Valley Golf and Country Club. It has provided slopes, bushes, and ravines to create a thrilling course for golfers. The clubhouse is not just notable for its challenging course but also for its terrific views of natural attractions like streams and waterfalls. Besides that, it has a magnificent landscape and has a panoramic view of Mount Pinatubo, which golfers love to look at while they are playing golf. 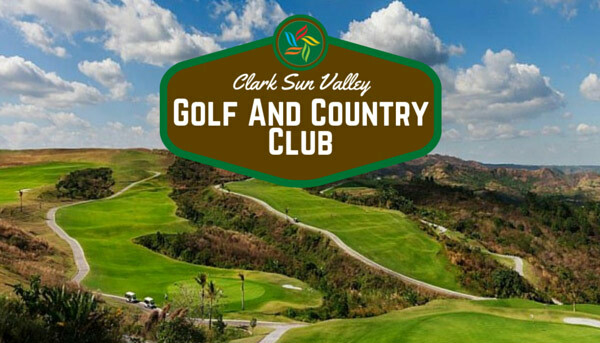 The notable Clark Sun Valley Golf and Country Club provides an exceptional golf experience. Its clubhouse has an aesthetic structure and high class service. One of its services is to provide mouthwatering meals that range from Korean to Filipino dishes. Aside from restaurants, the clubhouse is also equipped with facilities including lockers, shower rooms, tee houses, cafes, and Pro Shop. Tip for Tourists: You can still play at Clark Sun Valley Golf and Country Club by booking directly with GolfPackages. Fill out the form to your right and get your free quote today.